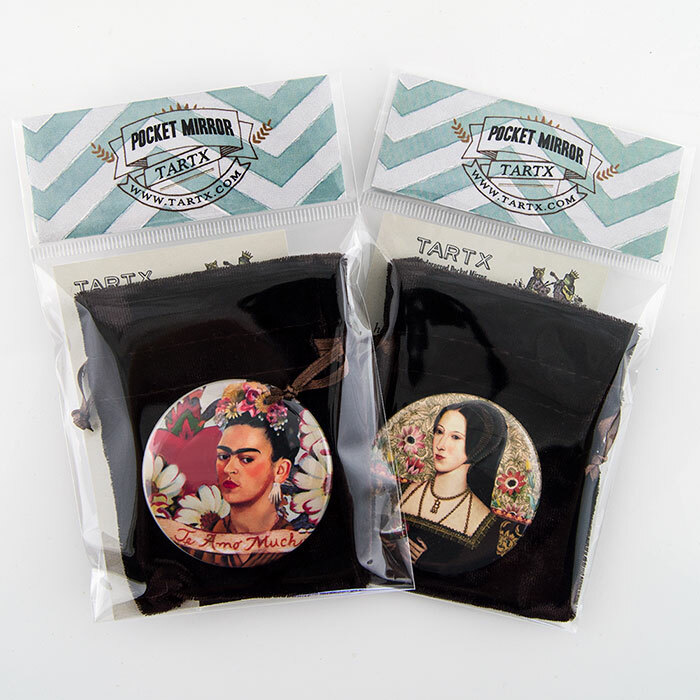 An excellent way to carry art with you. 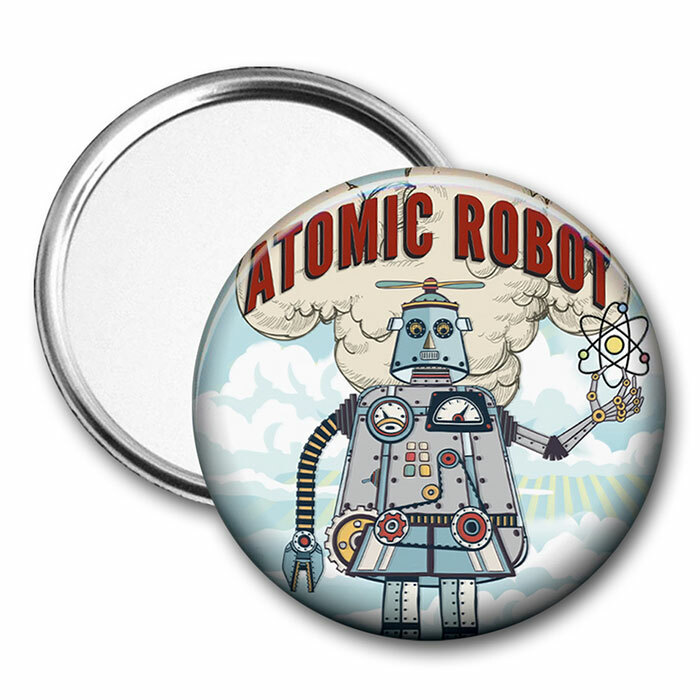 This pocket mirror features a retro style illustration of mine inspired by the tin toy robot of yesteryear. 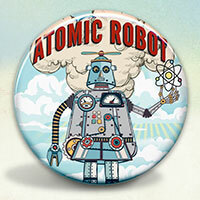 You can tell just by looking at him that the Atomic Robot Man is not your standard robot - he is Atomic! The retro robot posters and toys had such character. 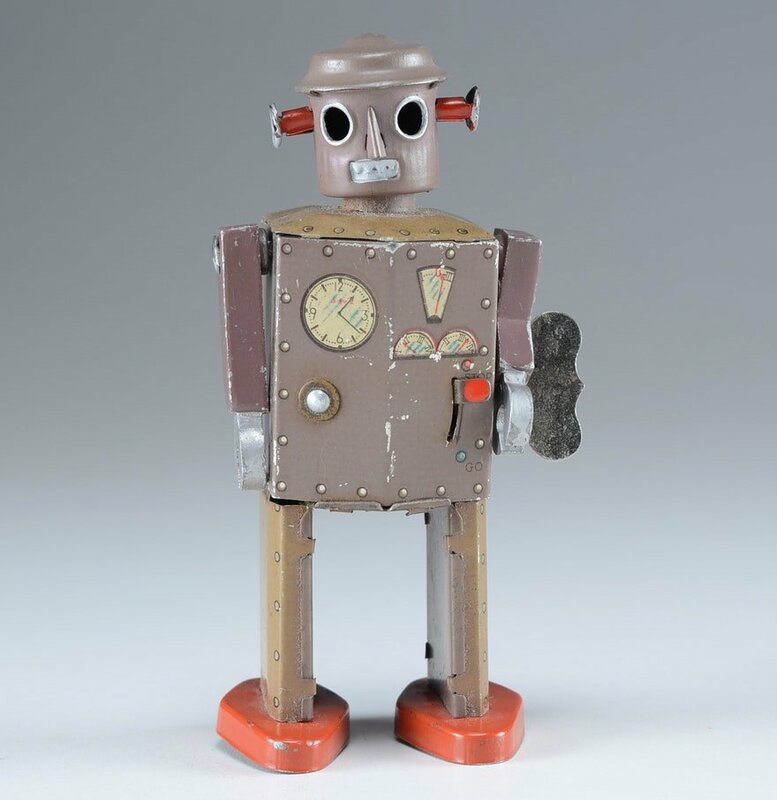 The robots, for being made of dials, switches and metal had such personality behind their black eyes. 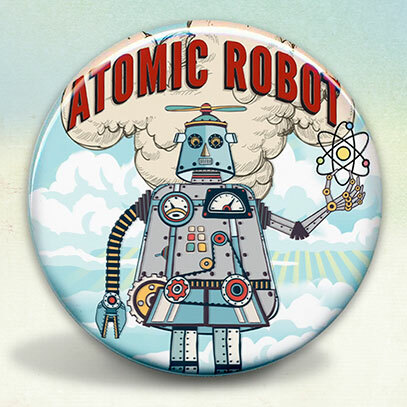 Atomic Robot Man is great robot and is considered to be the second toy robot ever produced. 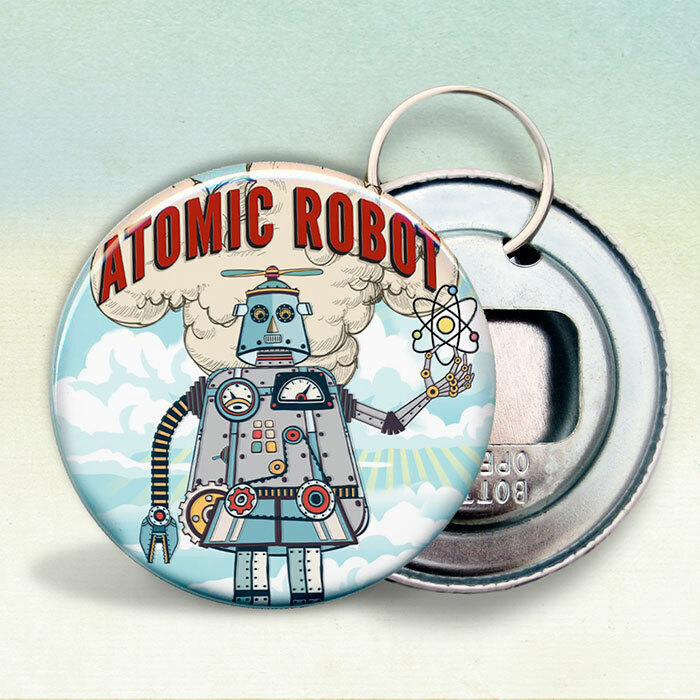 This illustration was inspired by that (my favorite) toy robot.